As I was thinking about how to celebrate Valentine’s Day, I wanted to focus particularly on botanical ideas that were both pampering and healthy. Enjoy! To start the day, let’s put everyone in a happy mood by diffusing some uplifting essential oils. Sweet orange or grapefruit are both excellent choices as citrus oils are uplifting and anti-anxiety. Almost everyone loves the aroma of these two happy oils. Please keep in mind, though, NOT to use essential oils (in any way) on or around babies younger than six months. Babies have thinner skin and immature immune systems, so they can’t tolerate powerful essential oils. However, from the age of six months to two, children can handle diffused child-safe essential oils for short amounts of time. In addition to sweet orange and grapefruit, lavender and lemon are also safe for this age group. For a long list of safe and unsafe essential oils for children, reference this post from clinical aromatherapist Lea Star Harris. As you are diffusing the oils, I would recommend diffusing for about 15 minutes and then shutting off the diffusor for 90 minutes. Adults should diffuse in this on-again, off-again manner as well. It’s better than leaving the diffusor continuously running. Directions: Add a total of 2 drops to the water reservoir of a diffusor and run for 15 minutes. Shut off. Start with this low dilution rate as we don’t want to overwhelm baby’s sensitive system. If you don’t have babies or young children, you can add up to 10 drops of essential oils to the diffusor. Herbs and hydrosols are much safer to use with infants and children than essential oils. The following herbs are all gentle and soothing for children: chamomile, lavender, calendula, and rose petals. My favorite is chamomile. German chamomile is a powerful anti-inflammatory, wonderful and soothing for the skin, as well as being calming to the mind. Directions: Before putting the baby in the bath, fill the bag with your chosen herbs and tie the bag to the bathtub nozzle. Run the water through the bag. Once the desired temperature and depth of water is reached, allow the bag to float in the tub while your little one soaks. For a massage oil that both men and women like, try using lavender oil. It’s a cross between sweet and spicy, so both sexes often enjoy it. Directions: Pour the carrier oil in a 2-oz. bottle and add the essential oil to the oil. Shake or roll gently and label. To add a romantic spin to the diffusor recipe above, add a few drops of rose, jasmine, patchouli, or ylang ylang. With their light honey scent, beeswax candles add a warm, lovely touch to Valentine’s Day. For a candlelit dinner, choose beeswax taper candles or a fun heart novelty candle. For an intimate setting, try tiny floating heart candles. They burn for about an hour and look beautiful in a bowl of water sprinkled with fresh flower petals. In the picture to the left, I used carnation petals. Houseplants are a perfect idea for a “Galantine’s” (girls celebrating Valentine’s day with their girlfriends) gift—especially welcome if you live in a cold climate area of the country. At this point in the winter, we’re all ready for a bit of greenery. 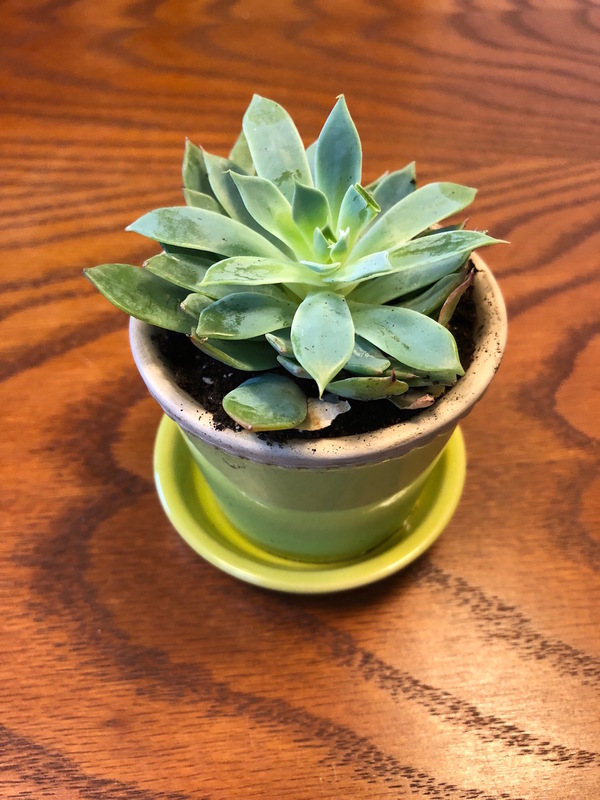 Succulent plants are easy to care for and extremely popular right now. I just purchased one myself. Of course you can never go wrong with flowers. They don’t have to be expensive, either, if you’re on a tight budget. I just bought this beautiful bouquet of carnations at Walmart, and they were only about $4.50. Finally, botanical beeswax perfumes are pampering gifts for Valentine’s Day any woman will appreciate. However you celebrate this year, I pray it’s your best botanical holiday yet! *I just want to be clear that the gift links in this post are to my shop on Etsy.